Adrian Ortega was taken to St. Christopher’s Hospital where he was pronounced dead Wednesday afternoon. A mother mourns over her 4-year-old who died after a piece of glass from a picture frame pierced his stomach. She now warns parents to remove dangerous objects from the sight of children. Amanda Velez heard a loud bang, then screams of her youngest daughter, inside their North Philadelphia home. "In a matter of seconds, I’m using the restroom, I hear a loud bang, and I heard glass shatter, and I heard my youngest daughter, who’s 2 years old she was screaming," Velez told NBC10 in an interview Thursday. Then, she said, "I heard my son say, 'Mommy.'" Velez picked up her son, Adrian Ortega, and a shard of glass fell to the floor, she said. "I lift him up and I saw blood," she said. Adrian, 4, suffered a fatal wound from the piece of broken glass, which came from a large picture frame that had shattered. Adrian Ortega, 4, died Wednesday at his North Philadelphia home. 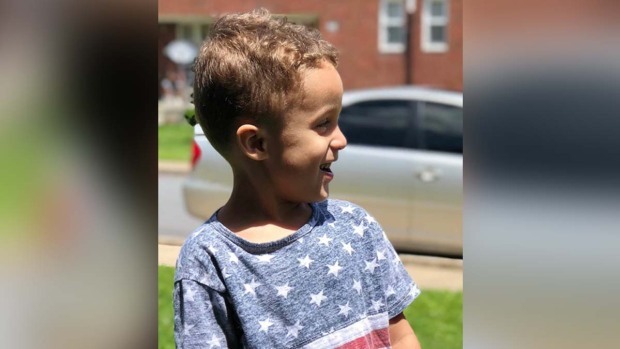 Velez rushed the boy Wednesday afternoon from the house in the 3200 block of North Reese Street to the nearest hospital. "They tried to do everything," she said. "They said they were trying to stabilize him, so he could go to the surgery room. But he wasn't strong enough." Adrian was pronounced dead at St. Christopher’s Hospital shortly before 5 p.m.